Searching for red and white stripes over a two-page spread…. 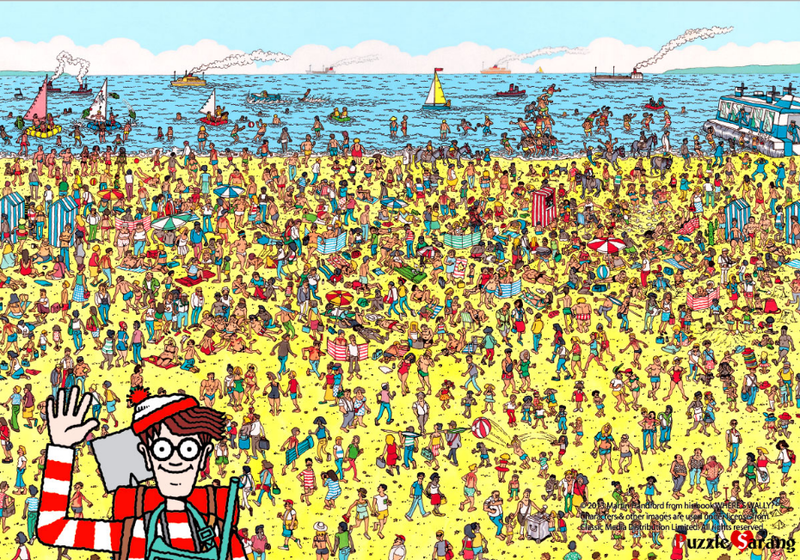 We’ve all likely done it – spent hours looking to see if we can find Waldo. I remember the first time I looked and looked – and could not seem to find what felt like such an obvious image. I asked someone to help me, pointing out what to look for, and it seemed to make the future pages a little less daunting. It seems that a similar game is being played, with far greater consequences, in U.S. medical education. Finding the costs of care amid the clinical environment seems to be challenging. Our future providers need some help. According to a recent study published in the Journal of the Association of American Medical Colleges, a small minority (26.3 percent) of surveyed internal medicine residents reported that they agreed with the statement: “I know where to find estimated costs of tests and treatments.” Most did not. This study was designed to measure U.S. internal medicine residents’ knowledge of, and attitudes toward, high-value care – defined as “care that balances the potential benefits, harms and costs of tests and treatments.” Taking advantage of the Internal Medicine In-Training Examination (IM-ITE), administered annually across the U.S., they surveyed more than 21,000 residents with more than 18,000 responding. Not only did they find that most residents did not know where to find estimated costs, but they also found that few (23.7 percent) agreed that they “share estimated costs of tests and treatments with patients.” Yet, surprisingly, most (88.2 percent) agreed that they “incorporate patients’ values and concerns into clinical decisions.” Clearly, those values and concerns did not reflect costs of care. A majority of residents (58.7 percent) also said that they agreed that they “reduce health care waste within my hospital and/or clinic.” How – if they don’t know the costs and they don’t know patient preferences – do they know they are reducing waste? When looking at what was the more effective way to reach residents in their training about high-value care, informal instruction delivered in the context of patient care was rated as more effective than any formal coursework. Medicine has long been a “learn by apprenticeship” profession, so this is not surprising. So, what are the implications of this study? We all seem to believe that we are headed for a future of more value-based and less volume-driven reimbursement models. We have seen the shift in financial responsibility toward patients with high-deductible plans and larger out-of-pocket liabilities. We have seen calls for increasing price transparency in health care. But if the next generation of providers – especially those in a central care coordinating role of internal medicine – do not know where to find the costs of care, and don’t share those costs with patients as part of their care process, are we deluding ourselves about how fast this transition will happen? If young, technology-bred providers can’t find the costs of care and can’t figure out how to share with patients, how can we expect to have consumers participating in driving down the cost of health care? It seems like we have work to do to keep up the training and coaching, helping newly emerging providers see that providing care is more than applying clinical techniques. We need to bring financial and clinical information together in the care process so it is present, discoverable and shareable. Caring will mean helping patients make the right decisions, ones that work for their families and themselves, within the constraints of what is affordable at a given time. It will mean including financial numbers alongside clinical results and then working with patients to make meaning of them both as they look toward a path to pursue. Yes, finding Waldo is hard the first time you do it. But with practice, and some help, he is not so hidden. We can discover the costs of treatment and we can bring that to our patients and find true high-value care.